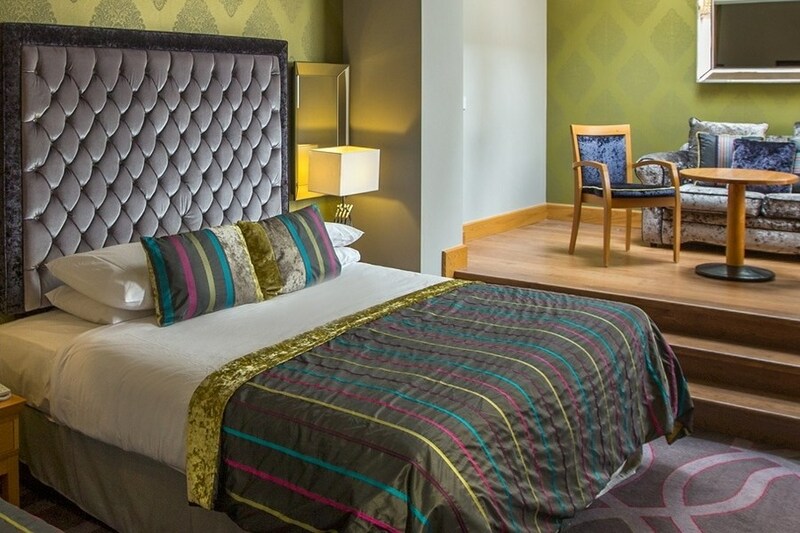 Enter a world of elegance and sophistication at The Errigal Country House Hotel, Cavan located just a mile outside Cootehill town and nestled between counties Monaghan and Cavan. This 18th century house has been lovingly refurbished to a contemporary design offering style and character along with the best traditions of Irish hospitality. Indeed from the moment you enter the luxurious foyer we will guarantee you a level of personal service and care designed only to match your exquisite surroundings. The Hotel is just 1 mile from Cootehill on the Cavan road. 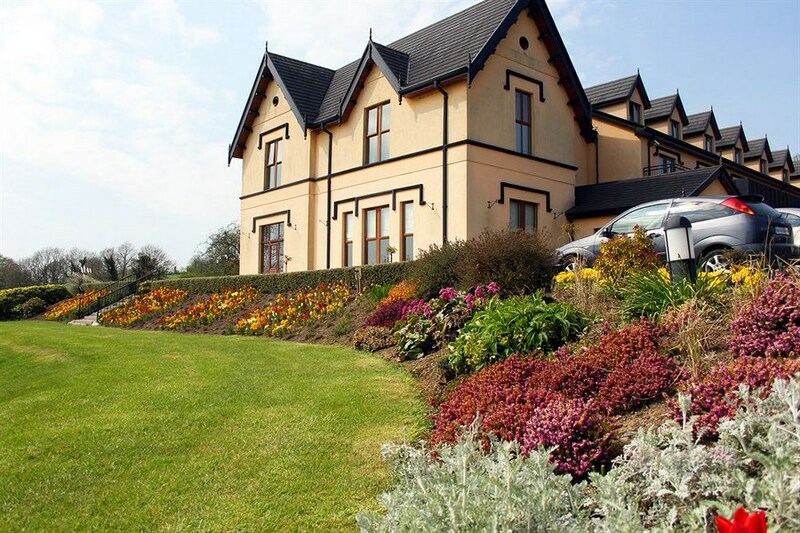 Errigal Country House is deep in the heart of Cavan's Lake Country, which is ideal for cycling, walking, fishing and playing golf. really gorgeous hotel, very spacious and the interior design is beautiful , very friendly helpful staff from the receptionist to the bar and restaurant staff, and the excellent spa therapist, we will be back, thank you. Lovely hotel, rooms are lovely very clean and comfortable. Great breakfast in lovely setting. Staff very nice and friendly. Would definitely recommend this hotel. Lovely spa night away, the girls in the spa were lovely and treated us like royalty. Lovely food, room was nice. Very friendly and clean hotel. Overall a lovely night away and will return someday soon. Really like this hotel ... bar food excellent, rooms very comfortable. Very nice hotel. Rooms were clean and modern. Breakfast was lovely. Myself and my partner stayed at the hotel recently, on a Friday night stay. Hotel was lovely, food was good - however, we found the menu that was part of the "package" extremely limited and the initial information on the site was quite misleading. Breakfast, however was fab, used the spa facilities, which while being quiet small, it was very enjoyable. Will hope to return and have recommended to others, but have made them aware of limited offer menu and what I thought was quite steeply priced supplements. Nice hotel with good customer service. Our only real gripe was the food we ordered in the small bar (not restaurant) was basically pricey for what it was and it was nothing to write home about. However our room was very nice, very clean and the bed was very comfy and we had a balcony too. The staff were very friendly towards us and I believe we had been given some kind of free upgrade from the standard room. The hotel is fairly quiet this time of year which I guess is normal, in fact it was good because the noise levels were low. There is a spa there but we didn't do that so can't comment there in fact i didn't even know there was a steam room or sauna there to be honest. We wanted to get out of the city for a night and we did some very nice walks in the surrounding area and plenty of lakes so the location for that was ideal. A very pleasant mid week stay. Rooms spacious and well furnished. Food excellent. This is a nice hotel with friendly staff. Very good food! Well cooked & presented & affordable. Staff & chef are gluten free aware. Breakfast a little scattered - tea arriving after toast but no big deal. Check the water situation - there was a problem with the water supply locally - NOT the hotels faullt - so if its still on skip tea, coffee & ice. Hotel really needs to raise this with council / water supplier as it will affect business. Disabled bedroom nice - the bathroom needs a toiletry shelf. Also refixing of the shower stool/bench as a matter of urgency as it is loose. Nice sheltered sun spots outside. Helpful front of house staff. If you want to use the spa you definately need to book. Nice place. We stayed here for one night dinner, bed & breakfast. Room was nicely decorated and had a balcony. Food was great, breakfast cooked to order the following morning which is much fresher. Couldn't fault the evening meal either. Staff very friendly and welcoming. I would stay here again. We stayed in the errigal country house Hooters on Friday 27 June 2014 and thoroughly enjoyed our stay. We found the staff very friendly and polite, or room was very comtortable and we had a balcony to ourselves. The food was very tasty and service very good. Overall we had no complaints and will definately be going back there again. Just back from a lovely relaxing break in the Errigal Country House Hotel. The bedroom was lovely with a balcony to enjoy this glorious weather and the staff and food excellent. Would recommend and will return. Myself and 3 others stayed on 22nd March 2014. Rooms were lovely and spacious and nicely decorated. Dinner was very tasty and good value. We enjoyed the music in the bar after dinner and even got up for a wee dance! Reception staff provided copies of local walks for us too. All in all a very enjoyable break. A nice enough hotel, clean and comfortable but nothing spectacular. I'm not sure if it deserves it's 4 star status; the lack of swimming pool and other leisure amenities was quite telling. There is little to do in the surrounding area although the scenery is beautiful. I got the impression that this hotel was built with the sole purpose of hosting weddings. The hotel itself was extremely quite, at times it felt like we were the only guests although this could be due to the fact it was immediately after Christmas. The food and service was very good. We stayed for a weekend deal that included dinner on one night. The dinner menu offered as part of this deal was quite limited so I ordered a fillet steak from the regular menu. I was quite surprised to find I was charged an extra 20 euro for this- a bit of penny-pinching by the hotel that tainted a generally enjoyable stay. Lovely hotel, enjoyed a very relaxing stay... Would definitely recommend!! A group of ten visited this hotel last weekend and were staying overnight on Saturday. All were of the view that the staff were very friendly and helpful. The accommodation. bed and breakfast, was excellent. Our evening meal could not be faulted and the service was very good. Anything we ordered was delivered on the spot. Again staff in the restaurant were very courteous. There was a real buzz around the hotel following our meal on Saturday night. Really enjoyed the stay and would definitely recommend. The weather was not great for walks within the vicinity - the views from the hotel were lovely. You could just imagine it on a summer sunny day - lovely!!! Many thanks to all. A thoroughly enjoyable stay, very relaxed atmosphere. Friendly, attentive and professional staff. Excellent quality food. Would definitely stay there again . Arrived on a Friday in the afternoon. We were greeting with a friendly smile from the receptionist on arrival. Our room was basic for a 4 star hotel. No little extras, like drawers for storing smalls etc., and no tissues (hankies). Had our dinner in Reynards Restaurant that night and it was ok, nothing to write home about. We ordered onion rings with the meal and eventually they came but were raw, presentation was terrible. Did not enjoy our meal at all - no atmosphere in the restaurant, only one other couple. The waiter was friendly and very helpful. Breakfast on two mornings was fine and and more people had arrived on the Saturday so the atmosphere improved. In a beautiful location. The room was clean but the ground in stains on the bedroom carpet left a very poor first impression!! There was a good choice of options on the inclusive dinner menu and the quality and quantity received was superb. 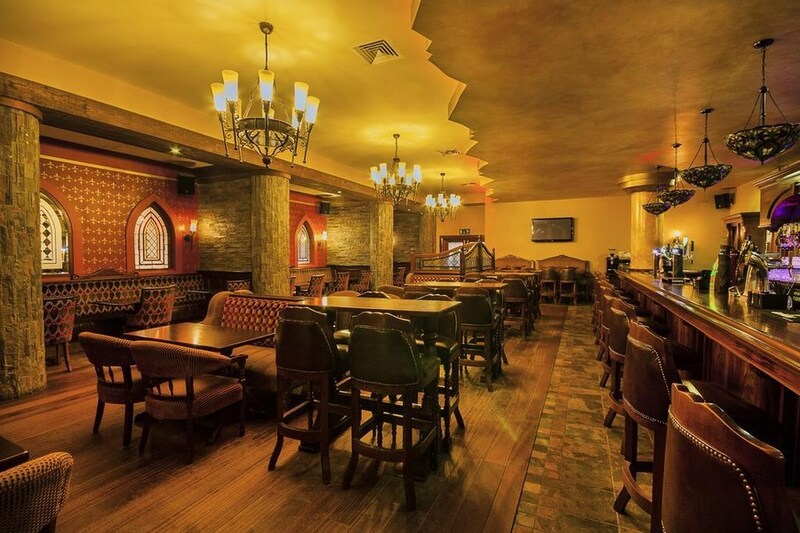 The staff were friendly and the overall decor of the hotel was impressive and provided an inviting & relaxing ambience. Had a wonderful stay in Errigal Country House Hotel last weekend. The staff had the unique combination of friendliness and professionalism remembering our requests - amending our booking without any fuss and generally ensuring that we had a relaxing stay. Dinner was gorgeous - we had access to whole menu with minimal supplements for items outside of our deal. Request for "a bikkie" with after dinner teas resulted in a plateful of choccy biscuits being presented which was really appreciated. Full Irish breakfast with croissants and fruit selection was available the next day, setting us up nicely for our journeys home! It was a wonderful reunion of friends from Dublin, the North and other parts of the country with the location being 90 mins drive for all of us so location was perfect! Highly recommend this hotel! Had an overnight stay recently with friends. Hotel very clean and well kept, staff friendly and helpful. The food was excellent and we were all very impressed. Would recommend it and would definitely stay there again. By Annie B. on 17th September 2013 Had a very enjoyable two night stay there . The grounds and gardens were the first to greet you with an array of colour( and kept in pristine condition) on entering the premises. The hotel itself was immaculate and the staff very friendly and helpful .The food was top notch also. Could not fault it in any way . I would highly recommend this hotel for a break away whether it be long or short , it's well worth a visit ! I'll be back !! Excellent all round , In s beautiful setting , Fabulous food , very comfortable & clean rooms . Hotel management & staff very friendly , helpful & efficient . Have recommended it to others since our stay . We definitely be returning soon . Very nice hotel, had a 3 night stay, and enjoyed it, weather was hot so it was great that room had air condition unit in it. Had meal in bar first night , food was good, a little disappointed that main restaurant was not open for evening dinner. On a scale of 1 to 10 , I would give this hotel an 9, very enjoyable stay. Stayed at the beginning of this week. The hotel is lovely, the staff are helpful and the food is really nice. This was a great value package. I would recommend it . We were very happy with all aspects of our visit. The staff were all extremely friendly and helpful. The food was very good as was the overall atmosphere. We enjoyed exploring the local area and will definitely return. From start to finish our Stay was excellent, the staff are friendly ( Esp Dave and Clare ) rooms are beautiful, food is top class, couldn't ask for better, spa is amazing. Absolutely no reason to leave the hotel and can't wait t return again!! Hotel was lovely but issues with hot water which is not what u want on a nice wkend away. Also the deal was to include a two course dinner but we were told this was only to the value of 17 euro each, most of the main courses were above 20 euro and starter and desserts were 6each so advertising a two course meal was not what u got. We had a very good experience in the hotel. The staff were friendly and courteous. Local information and maps were supplied and proved very useful. The food was very good as was the room. We got a lot of personal attention from staff and had extended conversations on the history and features of the area. Highly recommended, we will be back. Went to book a night away over the Easter and the Errigal Country House Hotel came up as been available. Didn't think it would be up to much as I have to say I had never heard of it before, and the fact that it was available at the last minute. But boy was I wrong: It was a classy hotel from the minute you walk in the door. The staff were friendly and helpful , the place was spotless. The bedroom was large and clean and you could put out a fire with the shower, it was brilliant. We had a two course evening meal as part of the package and it was first class. While there was a special menu for the deal we were told we could order off the main menu for a slight supplement. We didn't need to as the selection of starters and main courses were more than adequate. The wine was well priced and again a fair selection to choose from. A very nice hotel out a bit from town but with lovely grounds and plenty to do in the general area, some lovely walks within a short drive. Well worth staying there. Stayed for three nights in this excellent hotel. Room very comfortable and food was excellent. Bar food was superb and very reasonable. Staff very pleasant. Would highly recommend this hotel. Beautiful hotel, staff were very friendly. We will definately go back again. A wonderful place, food excellent and the staff were just above and beyond all expectations. We stayed at the hotel overnight on an inclusive package bed, breakfast and 2 course evening meal. We had lunch in the bar which was very reasonable and the food and service in the restaurant was superb. Would definately go again for an overnight break and recommend to all who want a quiet break. Great hotel for a short break with friendly staff, lovely rooms and good food. We didn't eat in the restaurant but the menu looked excellent. We had a meal in the bar which seemed very popular and the food there was excellent and very good value. We'd recommend the hotel overall with only a small gripe, the porridge for was probably more salty then a fried breakfast would have been, for our taste anyway. Lovely hotel, Great value. The room was very nice and extremely spacious. The food at the bar and for breakfast was very nice and to a high standard. Staff were very polite and helpful. I would highly recommend this hotel. This is a really nice hotel. The staff were really friendly and the food was lovely. We stayed in the Errigal House Hotel recently. I found it very comfortable and the staff could not have been more pleasant or more helpful. They looked after our every comfort. Food was great and the dining staff both efficient and attentive. Could not fault the hotel except on one point.... the room was very cold and as the weather was both wet and miserable, this was unpleasant. Perhaps there was a malfunction. We slept in the next day and missed breakfast. However the reception staff arranged a wonderful breakfast delivered to our room, free of charge. Exceptional service. I would return. I visited this hotel during the week for two nights. The room was lovely. We were offered an upgrade for 10e per night but didnt bother. We had dinner in the restaurant the first night and it was amazing!! The steak was sooo nice and the wine too! The staff were so friendly and helpful in both reception and the restaurant. The have a spa upstairs. I didnt go but treatments seemed really reasonable on the price list. I had thought the hotel had a pool but it doesnt so that was a bit disappointing. There isnt really anything to do in cootehill and taxis into cavan cost 25e each way. Overall enjoyed the stay. rooms are nice and clean. good size. the staff are very friendly and helpful. lovely looking hotel and massive entrence area for relaxing.